As you know I teach craft classes and provide kits. So my 6 year old wanted to teach me something today!She used cardstock and hand drew these cuts, then she told me to cut them by hand, so I did, then told me how to layer each piece and what to add. Apparently I was suppose to use yarn for the hair but didn't have any so we improvised. I added the stitching and dots on the boots, everything else Lily taught me ! Hi Everyone !!! If your like me you like to give and receive gift cards ! 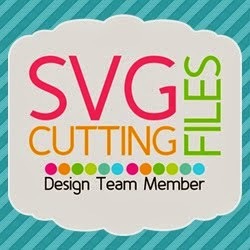 Today I'm going to show you how to customize your own to whatever theme and border you need! This is a Coffee gift card for a birthday I went to. It was for a man so I tried to use "manly" colors.. ( I know I was pushing it with the heart) ....LOL !!! Hi Everyone! I wanted take time to do a few challenges so I combined them together! 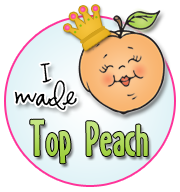 This is a challenge for Peachy Keen from their sketch and the Cricut Circle Monthly challenge. I used Everyday Paper Dolls for the dog and Peachy Keen Happy go Lucky dog face. I used acetate to create a window using the Bloom cartridge and a flower with glitter from the Art Philosophy cartridge. 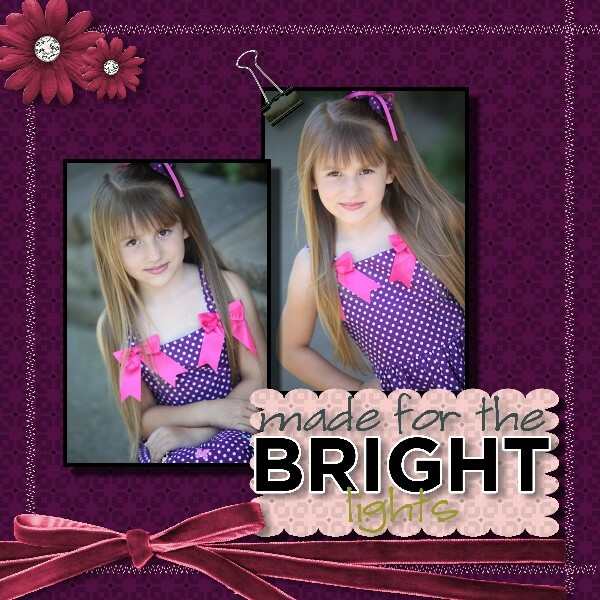 I also used raspberry lemonade twine from Timeless Twine,eyelets and bling! Thanks for joining me in the last two hops! Here are the winners! Wowwwwwwwww!! muy elegante tu trabajo y realmente espectaculares los sellos de "Dilo en Español". Hi Everyone!!! Zeni over at Scrappy Zeni asked if she could Spotlight one of my projects today. So feeling honored I said yes, so hop on over and say HI !!! I recently entered the HSN banner contest and so I thought I would share the pictures of my banner, and cross my fingers that they like it! Here's a few pictures, I inked and hand rolled all 30 flowers using the Art Philosophy cartridge, I made the pennants with the same cart, The doily's from Sophie, Font from Storybook and the chipboard cut outs from French Manor. I also used different colored pearls, glitter, twine from the Twinery, tulle, stickpins, lace, stickles and I handmade the rosette's. Say it in Spanish Release ! Hi Everyone !!! My friend Abby is releasing her own line of all Spanish sentiments TODAY !!!! I'm soooo excited for her, and excited she wanted me to be a part of her release. If you just arrived from Yvonne you are in the right place! If you want to start at the beginning please start at Abby's !!!! I created a chocolate treat bag, that says "I love you"
I used the cartridge Art Philosophy for the flowers and bag closure. I sprinkled the flowers with glitter for an extra girly touch! 2 comment max for each person....thank you for helping us celebrate this !!!!!!!! Now on to Gaby's awesome project ! HERE contest open till Sun Sept. 25 at midnight. I spy with my little eye............eeeekkkkk !!! What made my friend so excited about this picture??? The banner in the background is MINE...eeeekkkk !!!!!!!!!!!!! I created this for the HSN banner contest !!! I cant believe they took it with them and had people pose in front of it, I'm honored ! I will post full banner pictures this Saturday !!! yep I'm still eeeeeekkkkkkking...LOL ! Hi Everyone !!! If you have just arrived from Jenny at Crazy about Cricut then you are in the right spot ! If not you can start from the beginning HERE. First of all HAPPY BIRTHDAY CANDACE !!!!!! Have you ever dreamed of having an endless supply of an embellishment or certain paper???? You totally can! Both of these Layouts have digitally scrapbooked ! I have been digitally scrapping for about 4 years and absolutely LOVE it !!!! I love to preserve all the memories of my family but spending time with them is absolutely the most important thing to me. This My Memories program is soooo easy to use, you can adjust the drop shadow, change the size of your embellishments change your photos to sepia or black and white, send it in to make a book, use any font from your computer, make your pics into a movie, etc...the list goes on! I take my laptop on trips and scrapbook while riding in the car so I can spend more time with the family. I like to print mine 12x12 on photo paper and put it in their albums, then I can just change the size to 6x6 and print for the grandparents album, I also can very easily email all the pics to family and friends each month!! They LOVE seeing more than just a picture! I realize I sound like a commercial but I truly do love it, when you need a certain theme you can download paper and embellishment packs that are inexpensive that you can use over and over again ! Also if you want once you print it you could add your own embellishments, the possibilities are endless !!! These 2 layouts have been created with just some of the paper and embellishments you receive with the initial download of the My Memories program. I really could rattle on about this and feel free to ask me any questions you may have! They also have videos to help you with the program if you have questions here's a intro video! 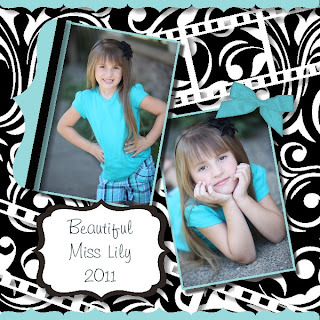 Now on to my layouts this is my daughter Lily, and what is more girly than posing for a photo shoot! So? How much do you love it?? Once you start you will be amazed and find yourself taking even more pictures, not feeling overwhelmed and even "catching up" on your albums! You can be as detailed or as simple as YOU want it to be !!!! *******My Memories has generously given me a download copy of this program to give away !!!!! 3 chances, so please limit 3 comments on this post per person. There will also be giveaways given for commenting on all the blogs in this hop! 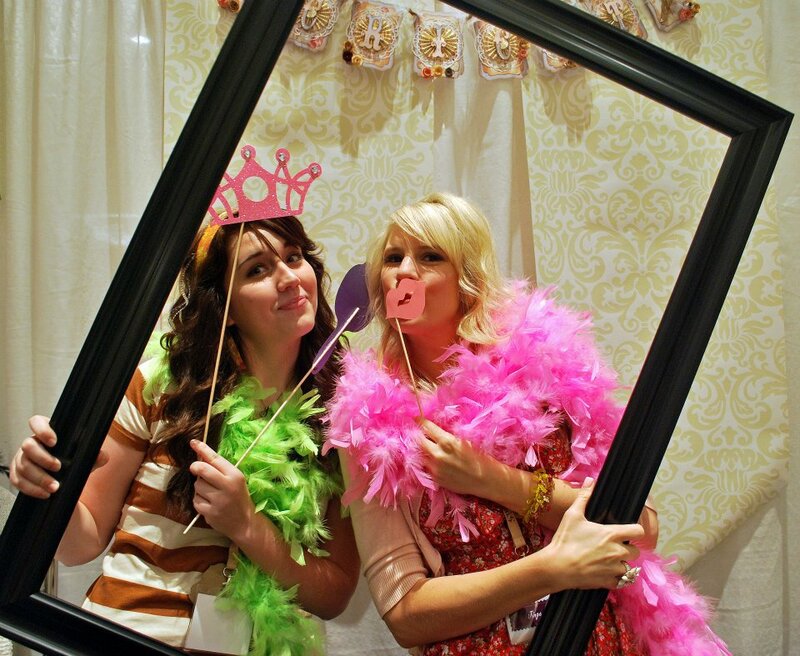 Your next stop is my good friend Candace at Paper Crafts by Candace !!!!! Thanks for stopping !!! I just wanted to share the cupcake topper and matching card I made for him ! I used some super cute yummy twine from the Twinery for the flames !!!!! Its my design day at Pink by Design !! I have created a birthday card using the Woodland Critter set from Pink by Design the County Fair Cricut cartridge, Peachy Keen Critter faces, a Martha Stewart punch, the tags are spellbinders, some yummy twine from the Twinery, stickles and glossy accents! Eeeekkkkk Im so excited. One of my cards was selected for the online sneek peak for the new Cricut Holiday Magazine !!! Follow this link to see it !!! whooo hoo! I cant wait to hold it in my hands !! I wanted to share with you a card I made for the Peachy Keen Sketch Challenge ! I used the Love you a Latte cartridge for the background and the beans. Art Philosophy cartridge for the banner tag, of course some super cute Peachy Keen Happy New Year faces, A stamp from Pink by Design and some yummy Trendy Twine. Also the patterned paper is from DCWV Green Tea stack ! I used my Cinch !!! Whoo Hooo I used my Cinch 2 last night......and I must say it was a cinch! (lol) I cant believe how easy it was...I have had my Bind it all in my closet for years untouched because I wasnt quite sure if I could use it correctly. I know I know I cant believe it either! I wanted to create something for the Peachy Keen challenge so I created a post it note holder! I used Bump in the night Cricut cartridge, Peachy Keen monster faces, a MS punch, twine from the Twinery and some ribbon and button embellishments !! Just wanted to share with you a card I made......well actually I made about 17 of these for a card swap I'm in. It was to be a generic everyday card. I thought this would be a great card just to show someone you care. I used the Cricut American Alphabet cartridge, a Pink by Design stamp from the set "Big Thoughts" a MS border punch, a SU punch and used pop dots and stickles on the heart! Don't forget more Pink by Design stamps being released tonight !! Live on U-Stream !! !